﻿A wide range of coloured foil finishes. All aluplast coloured foil finishes feature innovative technology, which improves performance characteristics, providing a much longer life cycle of the surface finish. Our lamination foils utilise special patent-protected pigments, which considerably reduce the surface temperature of coloured foil finished profiles. There is an extensive range of coloured foil finishes to choose from – some examples are shown below. An astonishing wood effect and unique feel, together with all the advantages of a plastic window: that’s what you get with the new woodec window finish. woodec not only looks like the natural material, it also feels particularly real and is virtually indistinguishable from real wood. The development and design of woodec owes something to Nordic influences. A lot of wood, simple shapes, and straight-edged designs, coupled with bright, warm colours are typical of the Scandinavian style of furnishings and are what make it so popular. And this trend is increasingly represented in window and door design. The new wood laminations give interior spaces a pleasant and contemporary atmosphere, while outside they give the house an upmarket appearance. The deep embossing gives woodec its natural feel yet is easy to clean. 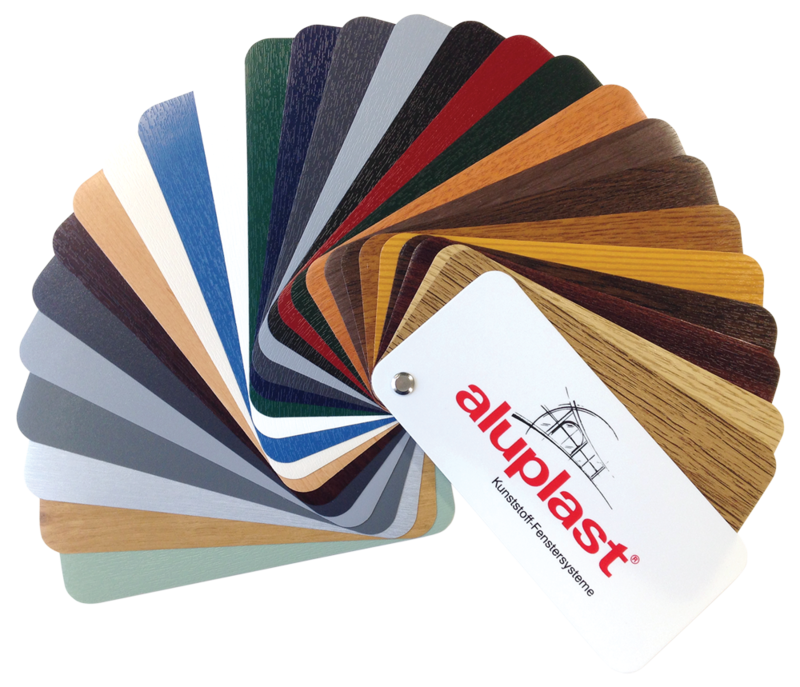 PVC-U colour and woodgrain finishes are applied to PVC-U profiles as the final step in the manufacturing process. Called lamination, it creates a seamless low maintenance finish and almost endless design possibilities and with our patent-protected technologies, great through life performance. Contact us to discuss your colour and foil options.